RCA RecordsKhalid has just released the video for “Better,” the song he dedicated to his hometown of El Paso, Texas. In the clip, the American Music Award winner sings on a rooftop parking lot while surrounded by a dozen cards whipping around him. 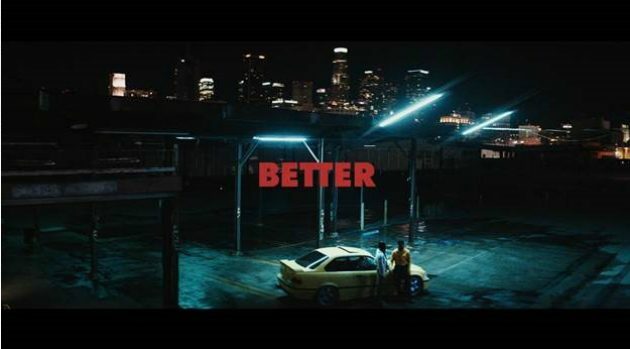 “Better” appears on Khalid’s new Suncity EP which he dropped October 19. The 20-year-old singer released the song right after El Paso honored him on September 13 by declaring “Khalid Day” in the city. Khalid has two nominations for the Soul Train Music Awards: Best R&B/Soul Male Artist and Best Collaboration Performance for “OTW,” featuring Ty Dolla $ign and 6lack.